I prefer the other Milky Way image you’ve posted. I think it’s the wall that spoils this for me it just seems too bright and takes my eyes away from what should be the main subject matter. Did you illuminate the granary wall? 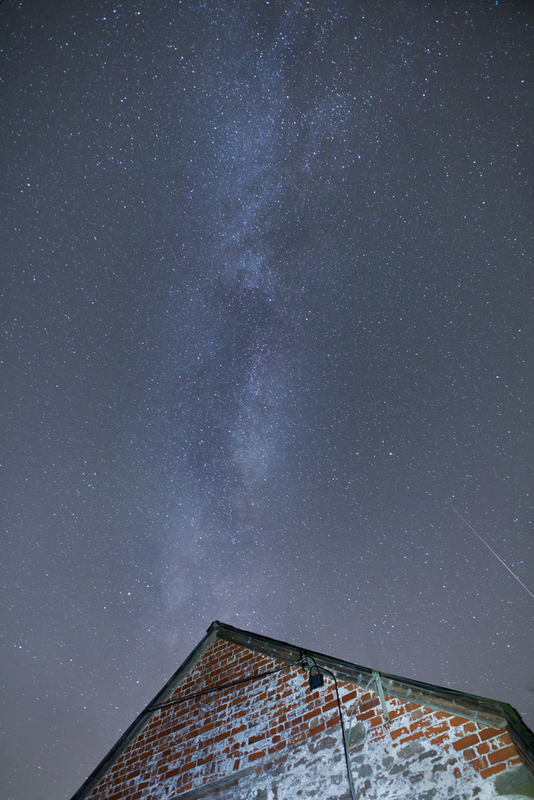 Many thanks for your comments, these are my first two attempts at photographing the milkyway and I have a lot to learn, the granary wall was illuminated with with a led torch and has been a little over done. Have to agree with Peter re this vs the other shot. Compositionally having the Milky Way rising directly above the apex of the gable is spot on but I wonder why you chose to show just the gable end rather than the whole building as I don't find the gable end alone to be that appealing. The brightness issue can be sorted in post processing. great first attempt of the Milky Way. If your ever up my way (Hereford) give me a shout, us James's must stick together. I also enjoyed your Elan valley images and I am now following you on Flickr.